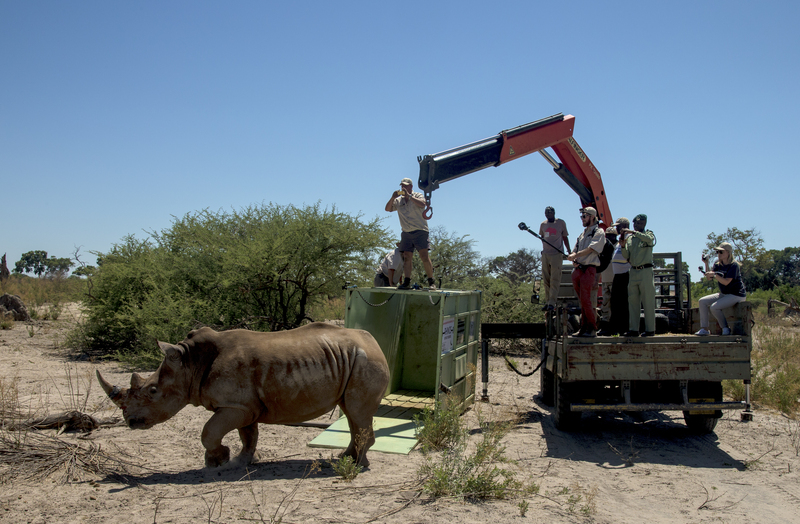 Rhinos Without Borders is celebrating a year during which the project has seen the safe translocation of two batches of rhino from high risk poaching areas in South Africa to undisclosed locations in Botswana, a country that boasts a far lower poaching rate. The landmarks attained in 2015 mean that the initiative, which is spearheaded by &Beyond and Great Plains Conservation, is now a quarter of the way towards reaching its stated goal of translocating 100 rhino from South Africa, where rhinos are currently being poached at the rate of one every seven hours. The initiative’s latest effort saw a critical rescue project initiated at the request of a private game reserve in South Africa, whose rhino were under severe threat from poaching. “This latest effort was fraught with emotion for all of us because we got a call to come in immediately and move some rhino as the ranch where they were located was under attack and four animals had been killed already. We mobilised the Rhinos Without Borders teams, who went in, collected all the surviving rhino and move them with 36 hours,” recounts Dereck Joubert, CEO of Great Plains Conservation. Following a period of quarantine in a safe location in South Africa, the animals were translocated to safe new environments in Botswana in a meticulously planned operation. 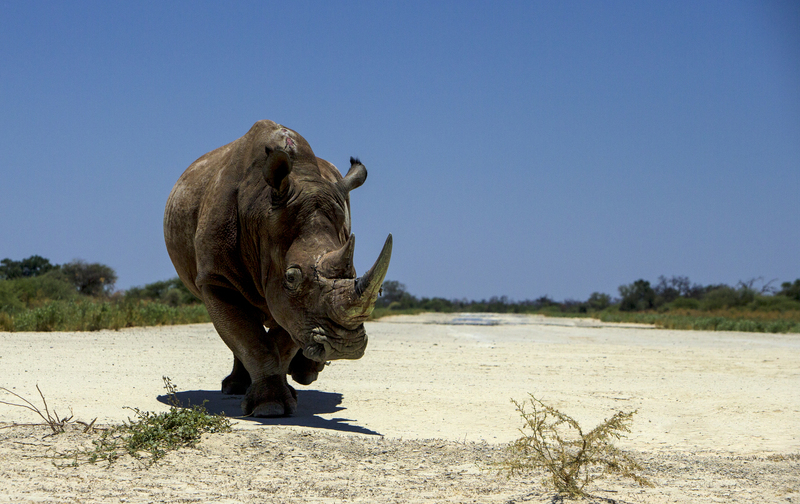 “The rhino are our Christmas present to Botswana and our gift to the rhinos is their freedom. I am proud of that. 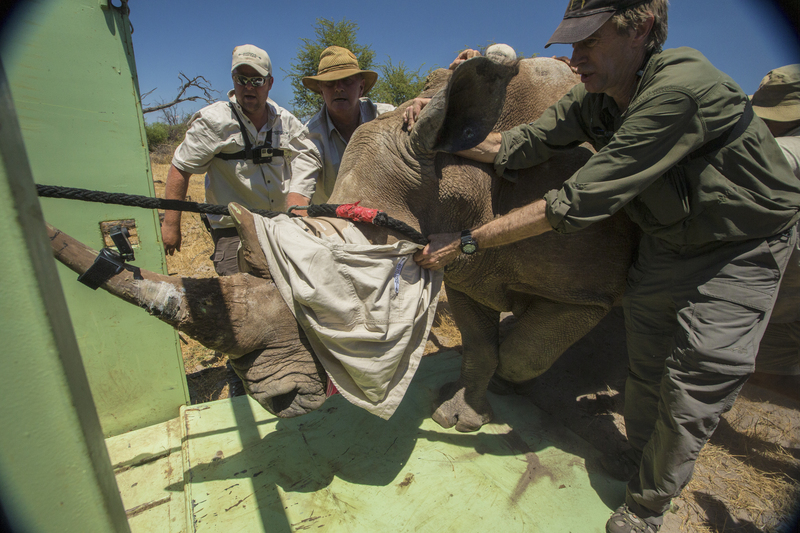 This latest capture and release focused us all on why we started the project – to move rhinos from high poaching areas to safety in Botswana. This move epitomises that. Thank you to the teams on both side of the border. It was an extremely difficult operation in temperatures of 43ºC,” adds Joubert. “The milestones achieved by Rhinos Without Borders during 2015, as well as the fact that ever more private reserves are becoming involved, is a huge achievement. We set out to prove that private sector companies could make a difference in the fight against poaching when working in conjunction with the relevant government bodies and we have done exactly that,” explains Joss Kent, &Beyond CEO. “Last year, over 1 215 rhino were killed in South Africa alone. The number of rhino lost to poachers in the country is now higher than the rate at which the species can breed. As things stand, his magnificent animal stands the very real risk of going extinct. Our partnership with Great Plains Conservation has allowed us to do something to counter this, creating a new breeding population of rhino in a different geographic region, diversifying their gene pool, increasing their number and making it harder for poachers to operate. I am very extremely proud of both our companies for standing up to make a real difference,” concludes Kent. 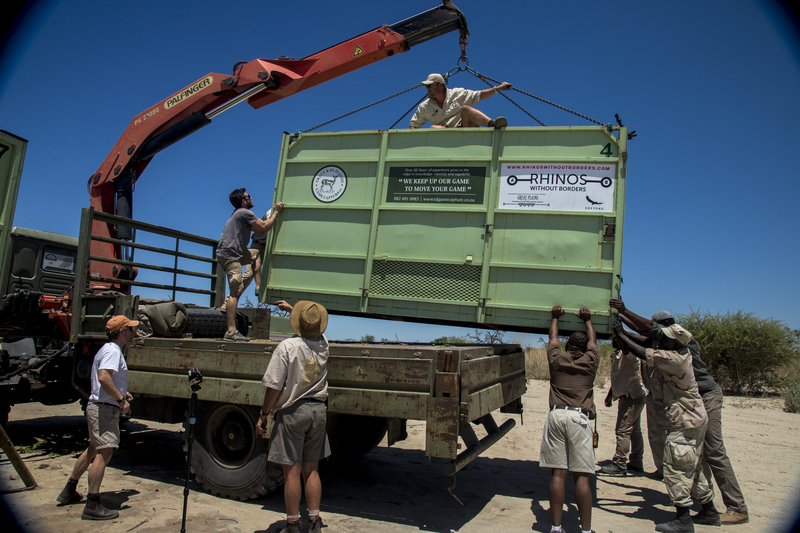 The Rhinos Without Borders has already earmarked an additional batch of rhino for translocation. Thanks to the generosity of the public, enough funds have been raised for the next phase of the project, although money continues to be collected to allow for the safe movement of ever more rhino. To find out more or to make a donation, please visit www.rhinoswithoutborders.com. &Beyond is one of the world’s leading luxury experiential travel companies, designing personalised luxury safaris in 15 African countries, as well as arranging bespoke tours in India, Bhutan, Sri Lanka, Nepal, Chile and Argentina. The company also owns and operates 33 extraordinary lodges and camps in Africa and India that positively impact more than 9 million acres of wildlife land. Established in 1991, &Beyond takes exceptional care of its guests in order to make a difference; its commitment to sustainable responsible travel, conservation and community empowerment has been globally recognised with multiple awards over the years. Please note: We are legally required to use the font ‘trebuchet’ when printing the ampersand in ‘&Beyond’. If this is not possible, please kindly write it out in full, i.e. ‘andBeyond’.